When Deborah’s book arrived on my doorstep I didn’t know what to expect. I wondered if it was going to be a biography of sorts – more of an insight into what she’s been living through for the last year and a half. The sub-heading should’ve given me a bit of a clue, really. ‘How to face the big C, live your life and still be yourself.’ Literally what Deborah does on a daily basis on Instagram. 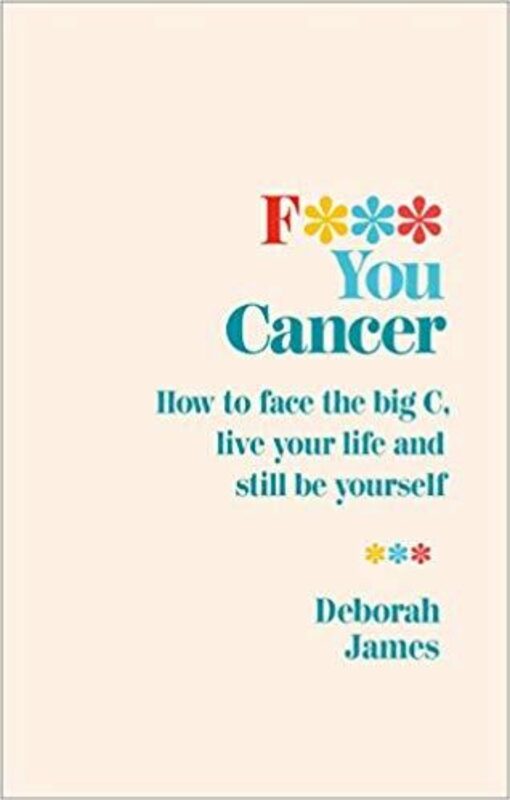 F*** You Cancer is a friendly, funny, warm companion for those finding themselves thrown into the cancer club. Sadly, that’s quite a lot of us, with current statistics showing that 1 in 2 of us will get cancer. 1 in 2. The chances are you will at some point feel you need someone to understand you. I strongly believe this book would be a good starting point. It isn’t scientific and cold, but neither is it Deborah telling us everything about her own diagnosis and using it like a sob story. Not. At. All. If anything the parts where she talks about herself are quite matter of fact. This book is about the reader. I truly felt every sentence has been written for the reader at a time when everything might seem too overwhelming and confusing. For those close to someone who’s going through cancer treatment, I think this could offer a bit of an insight into their current thoughts, and what they might need. I think we could all learn a thing or two from the one and only BowelBabe.